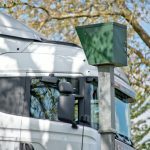 We recently posted a blog about a truck driver who received a speeding ticket based upon a police officer’s ‘estimate of speed’. The officer in question declared himself to be an ‘expert’ at estimating speed. 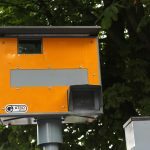 Many people could not believe that police could rely upon visual ‘estimates’ when there are so many speed cameras around, both fixed and handheld. They questioned whether such estimates could hold-up in court. 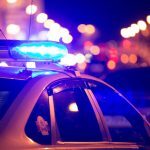 So what does the law say about ‘expert evidence,’ and just how compelling are police estimates of speed? What Does the Law Say About Expert Evidence? The general rule is that conclusions based upon a person’s opinion cannot be used as evidence in court, however there are certain exceptions to the rule. One of those exceptions is where conclusions are based on the opinions of expert witnesses. For an opinion to be admissible in court, the witness must demonstrate that they possess ‘specialised knowledge’ based on their study, training or experience. They must also show that the opinion that they are giving is based solely on that specialised knowledge. In addition to general police training, highway patrol officers undertake extra instruction and testing relevant to their role; such as advanced driver training (which includes speed estimations), and learning to use equipment such as radar guns and breathalysers. This would indeed be considered as ‘specialised training’ by a court, and as such, estimations of speed by trained highway patrol officers are normally admissible into evidence. But Just How Compelling are Estimations of Speed? Although estimations are usually admissible, the weight that the court places upon such testimony depends on the facts of the particular case – and the reliability of estimations often falls apart under effective cross-examination by an experienced criminal defence lawyer.. 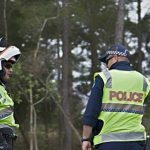 So, while experts such as highway patrol officers can give certain opinions in court, their estimations may fall short of proof ‘beyond reasonable doubt’; which is the required standard of proof in traffic cases. the failure to use radar in circumstances where all patrol cars are now equipped with it. After the police case is finished, the defendant can choose take the witness stand and give his or her version of the events. If that testimony is compelling and stands up to cross-examination, the Magistrate is likely to reach the view that police have not discharged their onus of proving the case beyond reasonable doubt. In that event, the defendant will be found not guilty. Challenging a speeding fine in court can be costly and time-consuming, especially if you hire a lawyer. 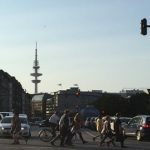 For this reason, many people just pay the fine and get it over and done with, while others might pay after unsuccessfully attempting to have the fine reviewed. But for those who go all the way, the financial and emotional costs may outweigh the benefits, even if they ultimately win the case. However, you should be aware that if you win, there are certain circumstances where the Magistrate can order police to pay your legal costs. Any other exceptional circumstances relating to the conduct of the proceedings by the prosecution which justify the award of costs. An application for costs will often be stronger if a letter was previously sent to police requesting that they drop the case, but police went ahead with the case anyway. 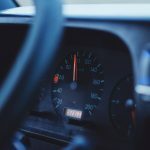 If you are thinking about contesting a speeding fine, your best bet is to speak to an experienced traffic lawyer who will be able to advise you about your options, your prospects of success, the costs and the best way forward.